Weave Leather Bracelet with Infinite Antique Brass Clasp -Genuine leather bracelet with a antique brass magnetic connector. -Leather Strap 0.25" width. 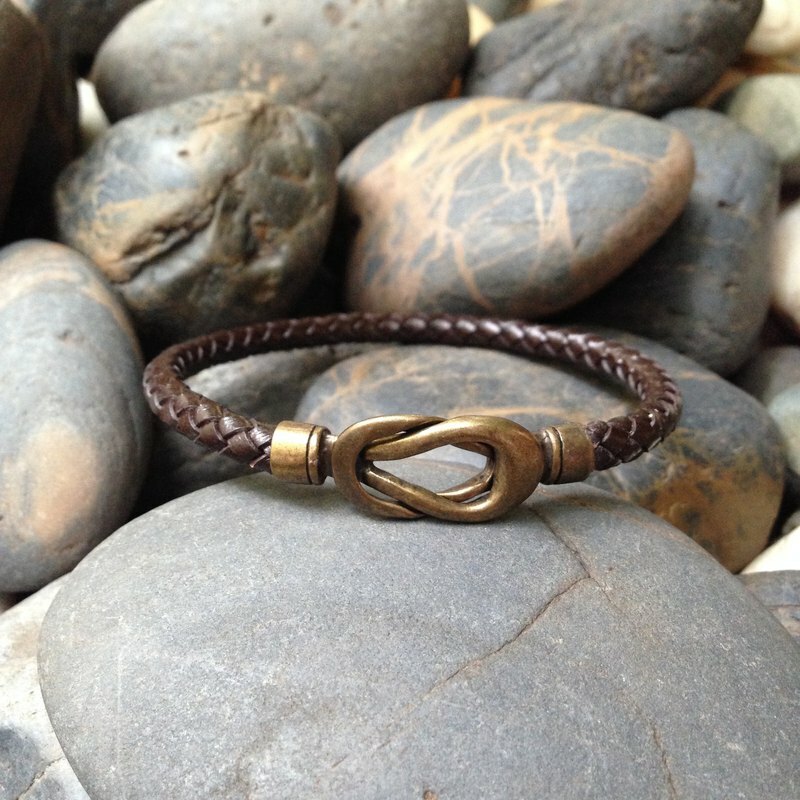 -All bracelets are made with excellent quality material in Thailand. -This bracelet is simple, trendy and comfortable to wear. -It will come in a modern gift box ready to be offered. To order the correct size:- the correct size, measure your wrist and add extra room for comfortable wear.